We resume our series in 2 Timothy with this inspiring message from Senior Pastor Marty Carnes. 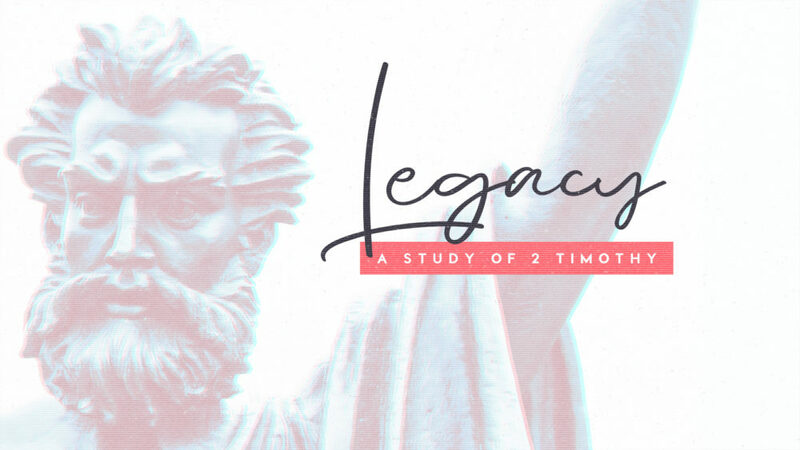 From Series: "Legacy: A Study of 2 Timothy"
We're walking through the book of 2 Timothy, the apostle Paul's final letter before he was ultimately killed for his faith in Christ. What were the most important things he wanted to tell Timothy, his apprentice in the faith? What was his legacy? More From "Legacy: A Study of 2 Timothy"